Designed for guitar, bass, or keyboards, the Morley MWV Mini Wah Volume pedal combines an electro-optical wah with volume control in a size that's perfect for any pedalboard. Morley pedals are designed for musicians who want more than just the same old pedals built the same old way. This pedal contains innovative designs, clever features, and bullet-proof construction. Each and every one is hand-assembled in the U.S.A. with American-made pride. 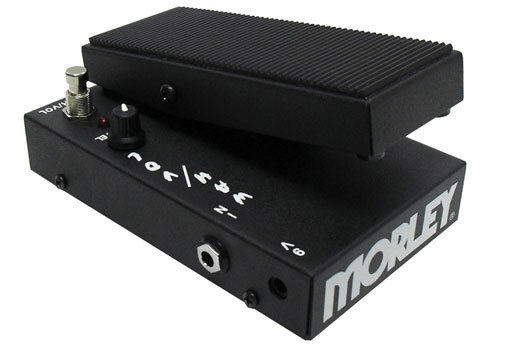 The Morley Mini Wah/Volume pedal features a traditional wah tone and smooth audio taper for volume control. With it's versatility (can be used with guitar, bass or keyboards) and tour-worthy strength (cold rolled steel housing), this pedal will make a perfect addition to your studio, practice space and stage.